At some point, every mother has worried about what her kid is eating (or not). Over the years, mothers (and many fathers) build up a repertoire of tricks - expertly camouflaging vegetables in bhel puri and pizzas, rustling up Dino dosas... Nothing brings out one's innate creativity like parenthood does! A guest post by Meera Nair, author of 'Maya Saves the Day' published by Duckbill Books. This Mother's Day, Meera has put together an elaborate four-course meal for our readers... four books for picky eaters. Enjoy your meal! You know the type. You probably have one at home or, at the very least, have spotted one in a restaurant. The Picky Eater (omnious drum roll here). That little self-styled epicure who never fails to stick her tongue out at an innocent tomato or turn her nose up at a perfectly innocuous fried egg. My own daughter once took a look at my elegant roasted eggplant dish and declared, “It looks like a dead rat,” as a roomful of dinner guests looked on. 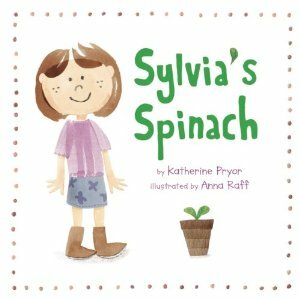 Now that the Picky Eater has attained mythic status---the subject of so much analysis and hand-wringing---we wondered what books might convince our kids to eat what's put in front of them. Or, at the very least, be fun to read—maybe over a plate of something delicious, and unobjectionable. Oh, and Happy Mother’s Day! 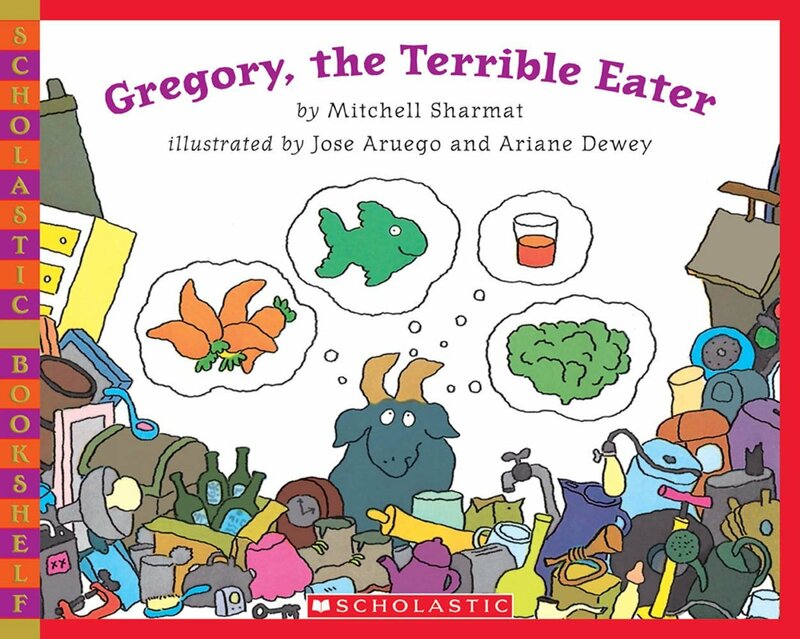 Little Gregory's got a big problem. He's picky. He's a goat who loves “fruits, vegetables, eggs, fish, bread and butter.” But his parents would rather he ate a shirt, “buttons and all.” How dare he insist on eggs for breakfast, when there's “ a piece of rug and an old shoe” to enjoy? Why, oh why, can't Gregory be like other goats? Dr.Ram tries to cure Gregory of his obsession with the “good stuff.” by prescribing a little bit of junk slipped in with his food. So it's spaghetti with shoe lace in tomato sauce. And string beans with sliced tires. 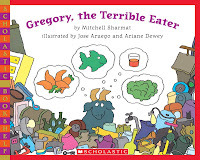 A few pages of behavior modification later, Gregory eats all the “junk food” in sight and ends up sick. Now he has to learn moderation in all things. This nutrition-turned-on-it's head story is funny and should spark some interesting conversations about food and choices round the dinner table. If you want to change the way your teen thinks about food, buy this book. 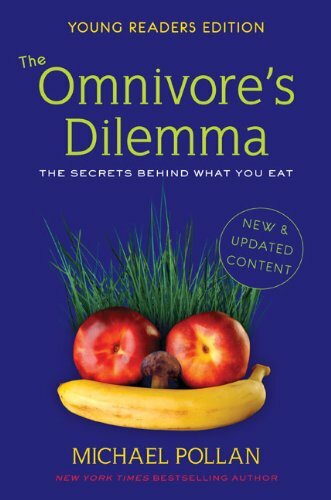 This young people's version of the best-selling book is a great choice for any smart teen who wants to understand how and why we make particular food choices. Divided into chapters like “The Industrial Meal,” or the “Do -it-yourself meal,” the book is enhanced with photographs and easy-to-read graphs. It offers, among other things, compelling evidence of the damage done to our environment by corporations that supply the fast-food chains and urges a closer look at industrial farms. Best of all, this book that might just convince your youngster to say no to that Big Mac burger the next time he's out with his friends. Take one wise Babushka and add a frightened little girl. Mix in a farm, cups of cake flour, some sugar, chocolate, tomatoes and brilliantly colored comic-book like illustrations. 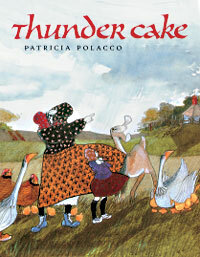 Throw in a thunderstorm in the background and boom!- you have the charming tale of Thunder Cake. A grandmom, in a master-stroke of distraction, convinces her scared granddaughter to venture outside and forage for ingredients while a thunderstorm rages. 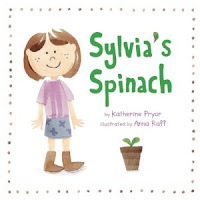 The little girl gathers milk from “Kick Cow” and eggs from mean old “Nelli Peck Hen” and strawberries from the “Tangleweed Woods,” and in the process discovers that she can ignore the storm and be “brave” deep down inside. The book advocates that eating is more fun if your little helper breaks eggs, mixes and puts the batter in the oven herself. There's even a recipe for Thunder Cake at the back, with a surprising secret ingredient—pureed tomatoes. If you do try it, you should encourage your Picky Baker to make appropiate “voice of thunder” boom-crash sounds. Thundercake is a favourite with us. Nice review! Like the sound of the other three, will look out for them. Have one more to add - it is pea-specific but fun - Eat Your Peas.